We collect information about you in various ways when you use our Site and Apps. We collect personal information you provide to us. For example, we collect your name, email address or other address you provide, and any other information you provide us when you contact us for support or provide feedback. We may also collect any information you provide us, such as your name, postal address, zip code, country of origin, and email, when you: (i) respond to one of our surveys, (ii) participate in a contest, sweepstakes or other promotion, (iii) sign up for one of our newsletters, or (iv) sign up to one of our pre-registration sites. We may also obtain information from other sources and combine that with information we collect on our Apps. We may request that you provide your age information, including your date of birth to customize our App's content and other features. We may also collect personal information at other points on the App that state that personal information is being collected. When you use one of our Apps, some information is automatically collected. For example, we collect a unique identifier for the device on which you install an App ("DID", which may be your Apple Game Center ID (if you have signed up to Game Center and we have access to that ID)) and develop a profile about you keyed to that DID. We may store your DID with your contact information (like your email address) when you contact us for support, but otherwise we do not associate your DID with Personal Data we collect about you. Our servers (which may be hosted by a third party service provider) also collect information from you, including your browser type, device type, operating system, application software, Internet Protocol (IP) address (a number that is automatically assigned to your computer when you use the Internet, which may vary from session to session), MAC address, Open Device Identification Number (ODIN), domain name, date/time stamps for your use of the App, and your DID. Our Apps may also allow you to make "in-App" purchases. If you make an "in-App" purchase we will automatically collect information related to your purchase, or may receive such information from the platform provider (e.g. Apple or Google), including the item purchased, the name of the game you are playing, billing information and other information about your purchase. Our Apps may also automatically receive age information, including date of birth, from the platform provider or which is associated with your DID. Our Apps may periodically examine the contents of your device to determine the presence of other WSG Apps on the device. The App will transmit the results of that examination to WSG and our advertising service providers to be used in targeting advertisements to your device. When you start or stop an App, it may display an ad and during gameplay, a rotating banner ad may be displayed. We may also automatically collect information related to the overall effectiveness of our advertising campaigns via our advertisements delivered on third party web sites, apps and services ("Our Ads"). For example, we may collect information related to the number of people who click on Our Ads, and the number of people who download one of our Apps or other products via Our Ads. We may combine the information we collect via Our Ads with other information we collect via our Apps. (b) Analytics. We may share your DID or other information with companies that perform analytics regarding our Apps (or enable such companies to collect your DID or other information): to analyze the use of the Apps for us; and for advertising about WSG and other companies. These companies may combine data we provide to them or allow them to collect from or about you with data they collect in connection with other websites or applications. (c) Third Party Offers. Our Apps may provide you access to third party services that offer in App rewards in exchange for your participation in the third party's offer or activity (each an "Activity"). If you click on or otherwise participate in any Activity, the third party(ies) providing the Activity may automatically collect certain information about you and your participation in the Activity. 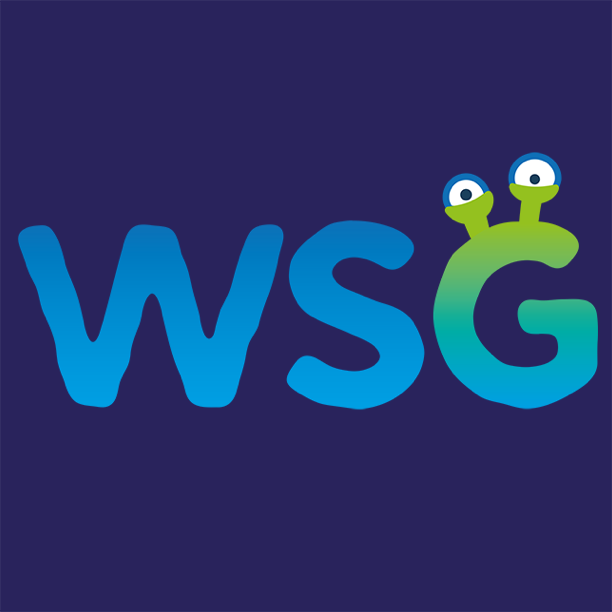 WSG is not responsible for any third party providing any Activity on its App, or the information collected by such third parties. We may also create anonymous and/or deidentified data records from your personal data by excluding information (such as your name) that make the data personally identifiable to you. We may use such anonymous/deidentified information to back up App-related data, high scores, levels completed, in-game currency earned or purchased, and improve our products and services. We may also share aggregated or deidentified information in our sole discretion. WSG is committed to protecting the security of your Personal Data. We use a variety of industry-standard security technologies and procedures to help protect your Personal Data from unauthorized access, use, or disclosure. While WSG uses reasonable efforts to protect your Personal Data, WSG cannot guarantee its absolute security. You can stop all collection of information by an App by uninstalling the App. You may use the standard uninstall process as may be available as part of your mobile device or via the mobile application marketplace or network. WSG is required under the Children Online Privacy Protection Act (COPPA), with limited exceptions, to obtain verifiable parental consent in order to collect, use, or disclose Personal Information (as defined below) from children. Many of our Apps are intended for general audiences and do not knowingly collect any personal information from children. When our Apps request age information from your child and your child indicates that he/she is under 13 years old, the App will block your child from providing personal information, including through social networking features. Please note, that if your child indicates that he/she is under the age of 13, your child WILL NOT be blocked from using our Apps. 2.1 In general, we do not collect personal information, except in those instances under COPPA where personal information may be collected without verifiable parental consent. If your child provides us feedback or contacts us (for support, for example), we will collect the data included in the communication. We use this personal information to assist your child with his/her query or support request and then delete such information once we have fulfilled the child's query or support request. If your child participates in a contest, sweepstakes or other promotion, we will collect any data your child provides, we may use it for the purpose of the promotion, and then delete such data after the promotion, to the extent the deletion of such data is permissible by law. 2.3 Please note that we are prohibited from conditioning a child's participation in a game, the offering of a prize, or another activity on the child's disclosing more Personal Information than is reasonably necessary to participate in such activity. 3.1 When your child use one of our Apps, some information is automatically collected. For example, we collect a unique identifier for the device on which you install an App ("DID", which may be your child's Apple Game Center ID (if you have signed up to Game Center and we have access to that ID)) and develop a profile about your child keyed to that DID. 3.2 Our servers (which may be hosted by a third party service provider) also collect information from your child, including your child's browser type, device type, operating system, application software, Internet Protocol (IP) address (a number that is automatically assigned to your computer when you use the Internet, which may vary from session to session), MAC address, Open Device Identification Number (ODIN), domain name, date/time stamps for your use of the App, and your child's DID. 3.3 Our Apps may also allow your child to make "in-App" purchases. If your child makes an "in-App" purchase we will automatically collect information related to your child's purchase, or may receive such information from the platform provider (e.g. Apple or Google), including the item purchased, the name of the game your child is playing, billing information and other information about your purchase. 3.4 Our Apps may also automatically receive age information, including date of birth, from the platform provider which is associated with your DID. 3.5 Our Apps may periodically examine the contents of your device to determine the presence of other WSG Apps on the device. The App will transmit the results of that examination to WSG and our advertising service providers to be used in targeting advertisements to your device. When you start or stop an App, it may display an ad and during gameplay, a rotating banner ad may be displayed. 3.6 We may also automatically collect information related to the overall effectiveness of our advertising campaigns via our advertisements delivered on our web sites, apps and services ("Our Ads"). For example, we may collect information related to the number of people who click on Our Ads, and the number of people who download one of our Apps or other products via Our Ads. We may combine the information we collect via Our Ads with other information we collect via our Apps. 4. Information Collected From Third Party Companies. 4.1 Analytics. We may share your child's DID or other information with companies that perform analytics regarding our Apps (or enable such companies to collect your DID or other information): to analyze the use of the Apps for us; and for advertising about WSG and other companies. 4.3 Third Party Advertisements. We may also use third parties to serve ads on the Apps. Certain third parties may automatically collect information about your visits to this and other websites, your child's IP address, your ISP, your DID, the browser you use to visit our Site (but not your name, address, email address, telephone number or other forms of personal information). They do this using cookies, clear gifs, or other technologies. Information collected may be used, among other things, to deliver contextual advertisements and to better understand the usage and visitation of our Apps. We use personal data (a) to respond to one-time child requests, comments and questions and then delete such personal data after we have responded to the child's request or question; and (b) otherwise support the internal operations of our Apps. WSG will retain your child's Personal Information for only as long as is reasonably necessary to fulfill the purpose for which the information was collected. WSG has established and maintains reasonable procedures to protect the confidentiality, security, and integrity of Personal Information collected from children. WSG also takes reasonable steps to release children's Personal Information only to service providers and third parties who are capable of maintaining the confidentiality, security and integrity of such information, and who provide assurances that they will maintain the information in such a manner. No method of transmission over the Internet, or method of electronic storage, is 100% secure, however. Therefore, WSG cannot guarantee its absolute security.